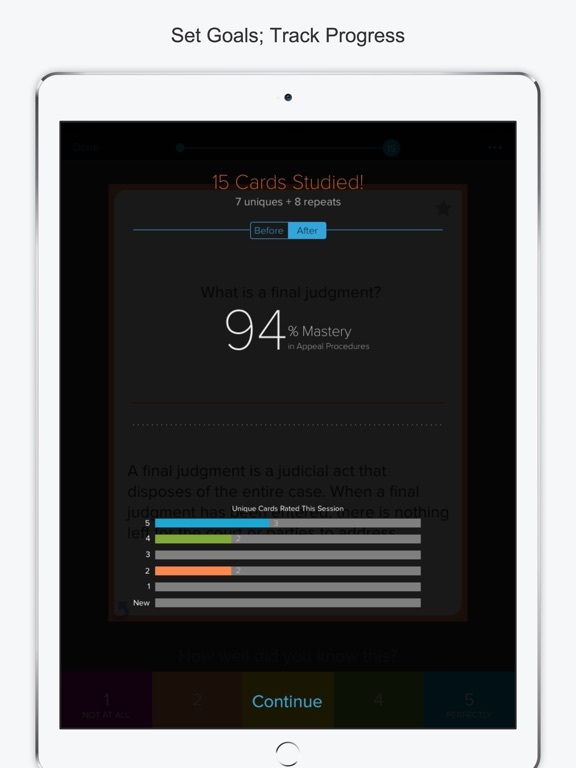 DOUBLE Your Learning Speed for the Bar Exam with 2500+ SMART Flashcards that personalize Bar Review so learning is EASIER & FASTER! Learn in 1 hour what normally takes 1 day. Test-drive every MBE subject for FREE. 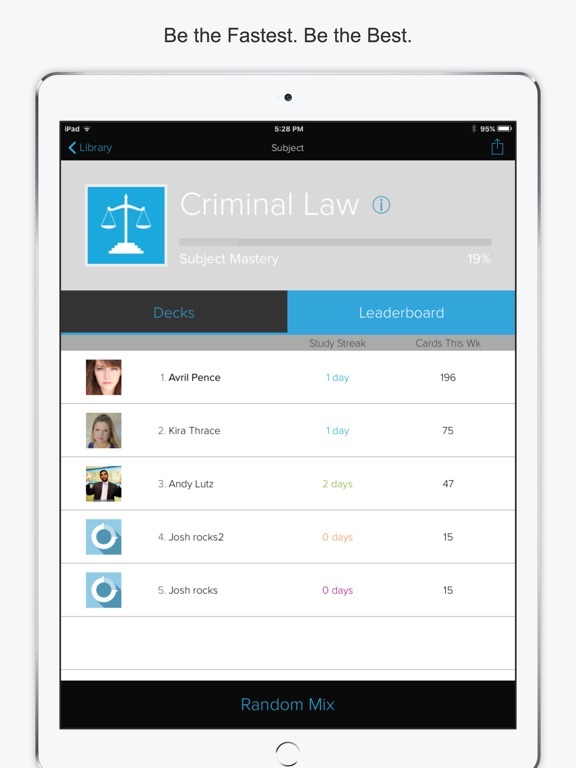 Our team of attorneys have worked tirelessly to create the most comprehensive flashcards to prepare you for the ultimate test of knowledge and endurance: The Bar Exam. 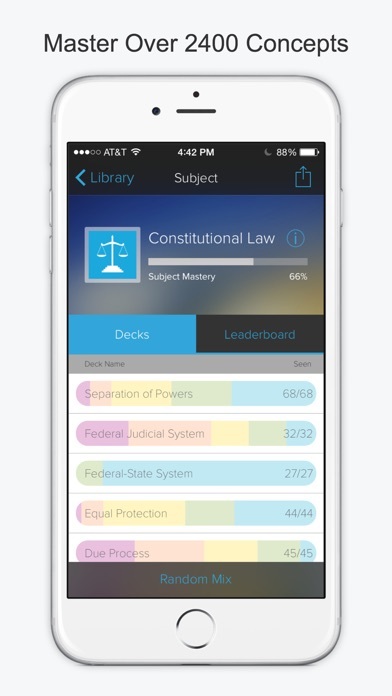 We've created nearly 2500 cards that provide an in-depth review of all major subject areas on the Multistate Bar Exam (MBE): Constitutional Law, Civil Procedure, Contracts, Criminal Law, Criminal Procedure, Evidence, Real Property, and Torts. Better yet, we've packaged all of this essential knowledge into the most effective study system on the planet: Brainscape! 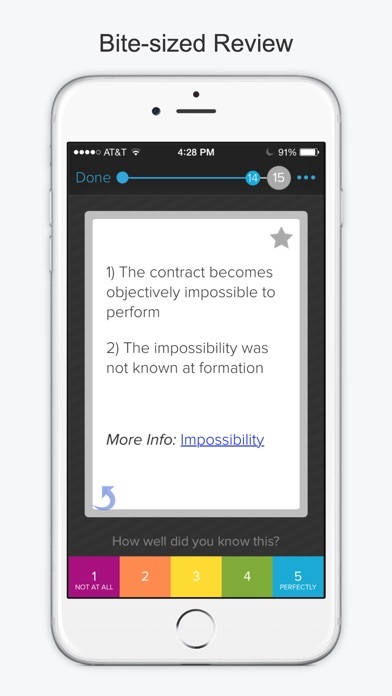 Bar Boost works by PERSONALIZING the timing of each flashcard repetition, using proven cognitive science. 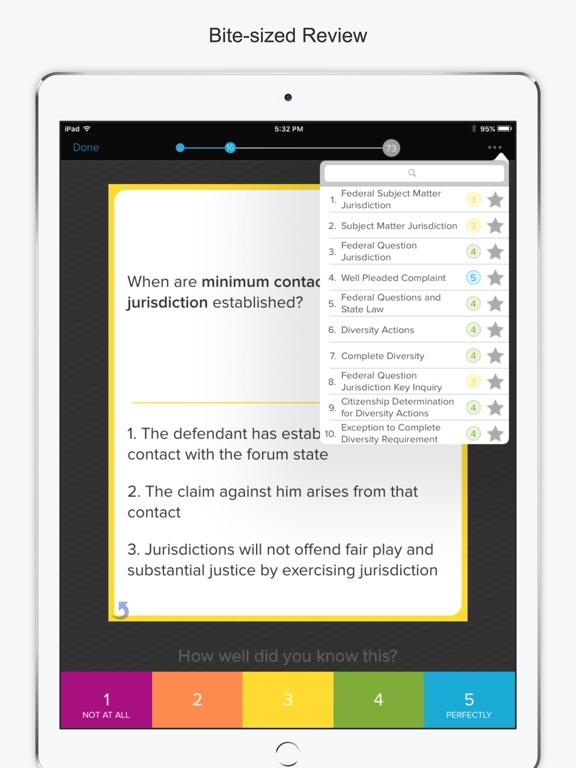 Whether you’re learning about subject matter jurisdiction, attempted battery, or the statute against perpetuities, Bar Boost spaces the repetition of each bite-sized concept based on exactly the right interval for YOUR brain -- using Brainscape's proprietary Confidence-Based Repetition (CBR) algorithm. Intelligent Cumulative Exposure (ICE), another proprietary Brainscape method -- is a system of introducing concepts incrementally, at gradually increasing difficulty while repeating the tough concepts in the right intervals of time based on YOUR confidence levels. ICE is also a method that explains legal nuances in PLAIN ENGLISH rather than hoping you just “figure them out” through immersion. The problem is that there are currently NO apps on the market that apply the CBR and ICE methods effectively. And BTW, creating a comprehensive curriculum based on Intelligent Cumulative Exposure takes WORK, and most app developers are more concerned with flashy software than with actual learning science. 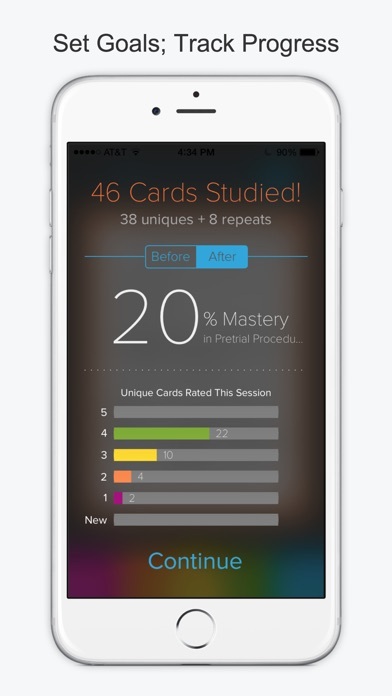 Brainscape’s learning scientists from Columbia and Yale Universities have spent the past THREE YEARS developing a complete, scientifically optimized learning platform specifically for the mobile environment. In the process, we have created the first web and mobile app based around Confidence-based Repetition and Intelligent Cumulative Exposure. Check out the white papers on our website, explaining the cognitive science behind why this works. 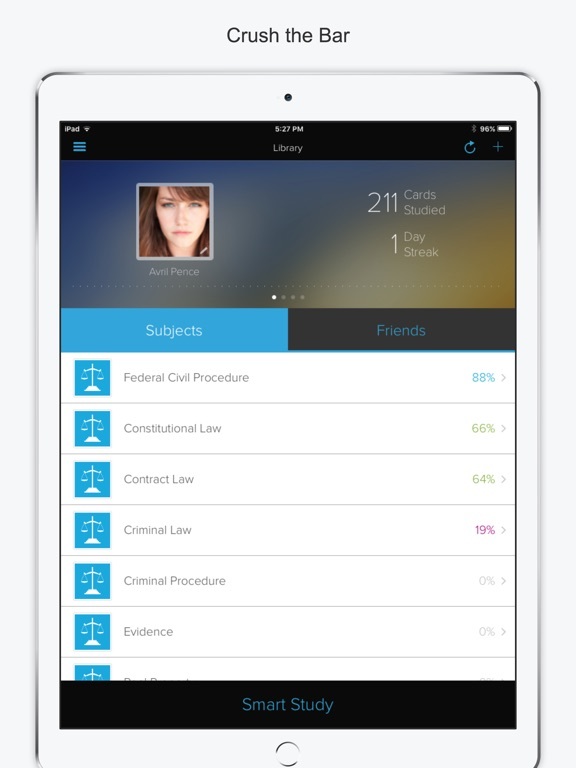 - 2500 total cards with in-depth coverage of every Multistate Bar Exam subject. - In-sync studying across Brainscape’s website and all your iOS devices. - A carefully tailored curriculum that builds on previous concepts and guides you from definition to legal analysis. - Over 400 cards enabled with online resources for deep-dive learning. - A simple elemental review of the most frequently tested subject areas. 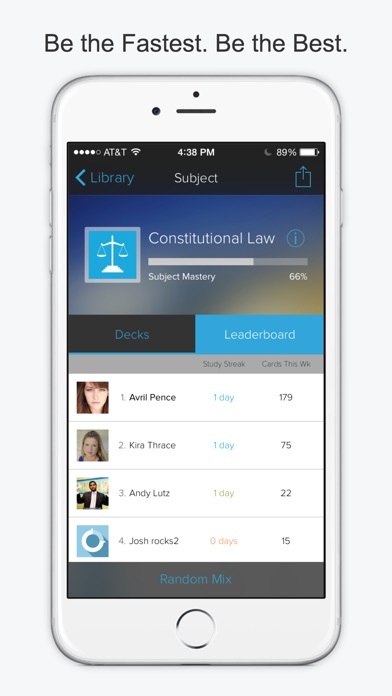 And check the leaderboard to see who's studying the most!